Yuuko tries a string of puns that goes very far off the rails. Misato pulls out the big guns when dealing with the maddeningly level-headed Sasahara. The professor adopts a surprisingly chatty cat, and a dog shows up at the right time to lend a paw. Starting off with a bang as Nano shoots her hand into the sky. It’s remarkable that the Professor is so talented that she’s able to make a life-like robot, but then it turns out that Nano just ends up being a glorified sweet dispenser… but I’m taking it too literally. Haha. 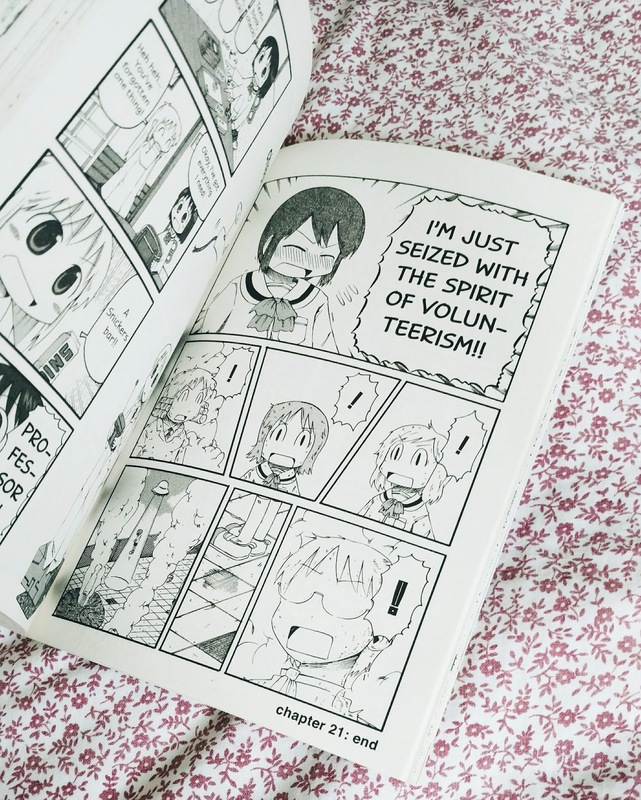 The Professor and Nano got a lot of attention in this volume as we learn how Nano came to be enrolled in school, and the lengths Nano will go to just to have the key-handle removed from her back. 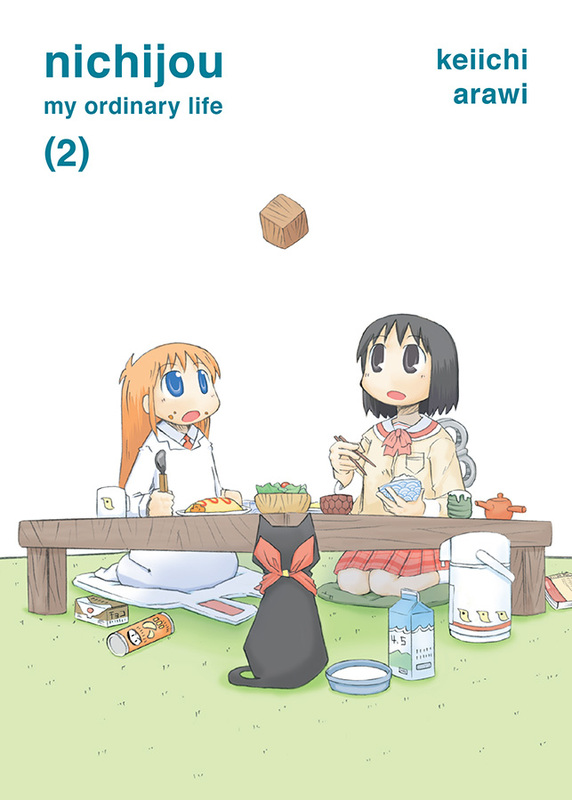 Towards the end they adopted a talking cat, Sakamoto, who is a highlight of this volume. If somehow possible, I managed to love this second volume even more than the first. I just couldn’t resist stopping for very long and was delighted by the development of deeper jokes by some of the background characters. Yuuko is probably my favorite with all her puns, and then it gets so out of hand that she has to go very far away. Hands down, was probably my favorite joke in the whole volume. And I loved a lot of them. Mio was also a surprising delight, looking forward to more of her. I want you all to read these so I can just have someone else rant at, unable to convey how much I love these jokes.